Life is a very interesting experience. It has been like never-before designed roller-coaster with sharpest bends and falls, unmatched acceleration, resulting in extreme fear and excitement. May be it’s the newest extreme-sport in the current recession era. This one is about my own career and life. I was looking to move on from my current job, having worked good nine years, as the place developed a sinking atmosphere, aimless and without any challenges and excitement. I felt as if I was losing my sharpness by the day, which was unacceptable to me. The only problem was that with the entire economy in tatters, nothing meaningful was coming by. I worked on a two pronged strategy; one – reaching out to my relationships and consultants and two – reaching out to almighty invoking him to set my destiny on the right path. I felt as if AR Rehman wrote this beautiful composition for me. What went through my mind, was a storm of emotions and I captured it by writing this couplet. 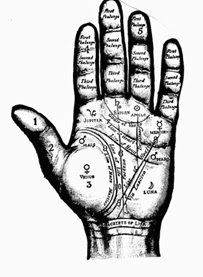 This is something which has nettled people all around seeking answers in astrology, palmistry, gemstones, tarots, and what not. I gazed at my palms, wondering, whether actually one’s fate is captured in these lines. Do they really convey something? To me, its about the attitude you wear. Choosing to stay positive is tough but not impossible. Needs tons of energy otherwise, but if your foundation has been built on the strength of character, then it’s not all that tough. Something we should give to our kids as they prepare for this extreme sport. I recall, Emerson, clearly echoing similar thoughts. One should easily expect two to three serious and derailing situations which will have the potential to make or break one’s life and threaten one’s career. Coming out of those depths will depend on individual’s character, courage, positive thoughts, friends, spirituality and positive thoughts. It’s about conditioning the mind. ‘Men are not prisoners of Fate, but only prisoners of their own mind’, said Franklin Roosevelt. So the deed is basically your Karma. So one should practice the Yoga of Karma and choose to be Karma Yogi. Shrimad Bhagvad Geeta, is a good reference point, to understand this piece in detail. Rather than focusing on this, people fruitlessly tend to seek solution elsewhere. Many reach out to astrologers, wearing combination of gemstones etc. Do you believe that these have the power to change the course of your life or absorb negative happenings? May be it helps one remains calm, having sought divine intervention. I am not totally against it, but shouldn’t get subordinated or only rely on them hope for miracles to happen, else it will only lead to desolation. Moving on to something lighter, there is hardly any subject which has stayed untouched by Indian Cinema. Hence can’t resist taking examples from it. The most unforgettable for me was AB riding the bike and singing cheerfully. Another one, where two friends, Shammi Kapoor Ji and Dilip Kumar Ji contradicting each other, talk about fate and planning. Treading into negative territory, this number, challenges one to punt on one’s own ability. The recent movie ‘Oye Lucky Lucky Oye’ was on very similar theme. The swindler-hero, high on self-belief, always ends up escaping from the clutches of law. The subject has been the fodder for ‘Shayars’. I am sure this subject would have ranked as their favorite had a poll been conducted. There is none, who has not touched upon and written extensively on this subject. Choosing to stay in Gam ( Sorrow ), sacrificing their love, deriving joy out of that sorrow, ultimately faulting their Kismet for what bechanced them. Many beautiful Ghazals and Shers have captured this concept. Can be a blog subject in itself. I put across couple of them. Anyway coming back to me, my efforts of looking out did pay off. Closing two and both of my likings was such a ego-booster. I thank my Guru and Lord for loving me and bestowing their blessings on me. I close this blog with the powerful thoughts as they run my mind and aptly put across in the couplet.